We're hosting a Welcome Team Sync on March 31st from 2-3:30 pm at the church. This sync is for everyone that serves on coffee, communion & offering, greeting, financial stewards, connect desk, and parking attendants. Our time together will be a time of vision-casting and practical hands-on training for our team that we don't want you to miss. This event is for anyone serving in any of these positions, so mark it in your calendar! If you're new and want to sign up to serve, this is a great place to get started. If you have any questions please email serving@crossandcrownseattle.com. We’re hosting our very first Men's Retreat and you're invited! 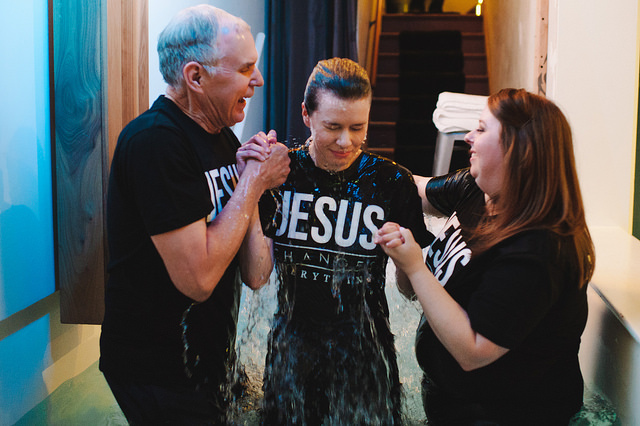 We love seeing individuals make their proclamation that they’ve decided to follow Jesus! If you are interested in being baptized on Easter Sunday or if you have more questions please let us know. To sign up please go HERE. If you have questions or would like to discuss this with someone let us know HERE. This week we are praying for Sideris Church. Led by Pastor David Evanger, Sideris Church meets on Sundays in the Wallingford neighborhood. Join us as we pray for the gospel to be preached and disciples of Jesus made. Would you consider reading the book of Ruth once a week until the end of the series? During that time, pray that God would speak to you through this story and what he wants you to learn and apply in your life. How has prosperity (things going well) affected your relationship with and trust in God? How does suffering develop character? Why does God choose to allow this to become the process to grow women and men? In what we know of the story of Ruth so far, how can we say that God is good and sovereign even though so many terrible things have happened? Is there a place in your life that you need to return to God like Naomi? If so, share that with your group so they can encourage you and pray for you. How do you deal with God’s sovereignty in difficult circumstances? How do you see God’s goodness and kindness and mercy under challenging circumstances?